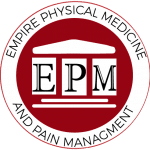 Do you suffer with wrist or hand pain? Carpal Tunnel: Your median nerve runs from the forearm into the palm of your hand and controls sensations through the fingers and the impulses to muscles which enable movement in the hand. 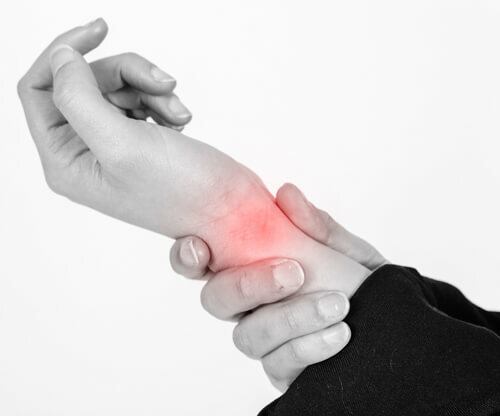 When the median nerve is repetitively squeezed at the wrist, carpal tunnel occurs. This results in pain, numbness and weakness at the wrist and through the arm. Wrist Sprain: When an excessive force is placed on the wrist, injury can occur from the tearing or stretching of ligaments in the wrist. There are three types of sprains: Grade I is a stable injury to the ligament; Grade 2 is a partial tear or stretch of the ligament; Grade 3 is a complete tear of the ligament. Arthritis of the hand: A joint consists of two smooth cartilage-covered bone surfaces that move smoothly over one another. Hand arthritis stems from a degradation of the cartilage or an inflammation of these joints. As these cushioning surfaces of the cartilage wear out, pain often arises, causing swelling and stiffness. In an attempt to make up for the lost cartilage, your body will produce fluid to act as a cushion for your joints. This excess fluid can cause swelling and can be very uncomfortable and disabling.